ORLANDO, FLORIDA, UNITED STATES, April 10, 2019 /EINPresswire.com/ -- C Larboard, founded by Zoe' & Rich Coulcher, is a community of life-enthusiasts who thumb their nose at convention and look to the best bits and pieces of the past to guide their future. They admire the quest for discovery and pay tribute to the thirst for exploration for new places and things. Fueled by a passion for travel and the love of cool, innovative and unique products, CLarboard.com is the retail arm of the community. The Coulchers travel the world in search of unique gifts to offer in the C Larboard gift, gadget, and online general store. 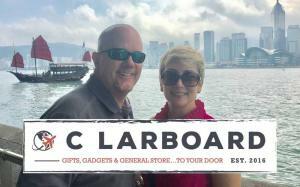 On CLarboard.com, consumers can shop, share products in the C Larboard Booster Affiliate program and read up on new product offerings, travel tips, and life hacks highlighted in the Gift and Gadget Blog. Sourced from the world and shipped to your door from their headquarters in Orlando, Florida, CLarboard.com is a gift shop full of unique collections inspired by the passion for adventure, innovation and living life on "your" terms. 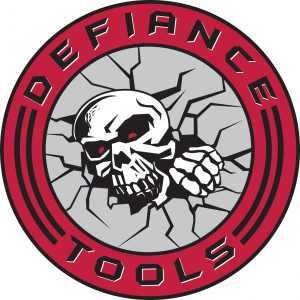 The Coulcher's trademarked brand, Defiance Tools® offers “Tools To Navigate Life” and a brand committed to redefining the meaning of tools. 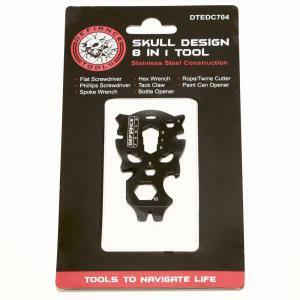 CLarborad.com proudly offers Defiance Tools' EDC gadgets and products to help consumers defy the difficulty of the day and complete any task: from turning a screw or keeping your family safe on the road and off to making a delicious cup of coffee or mixing a drink and so much more. With a 25% off discount on the best gifts, gadgets for men and women, and Tools To Navigate Life, C Larboard is awarding students, who are the future of our country, and all of those hard-working teachers that help make them great. With over 19 million university students enrolled in the United States during the 2018–19 school year, colleges and universities are expected to award 1.0 million associate‘s degrees, 1.9 million bachelor's degrees, 780,000 master's degrees, and 182,000 doctor's degrees. The Coulchers have partnered with ID Discount to offer a 25% off discount, on all items online in their shop, to all teachers from the pre-K to the university level and all students attending a university in the United States with a valid .edu e-mail. Receiving the 25% discount is easy. Teachers and students can simply visit the Teacher Discounts or Student Discounts pages on CLarboard.com and click to sign into their partner, ID Discount. After verification, teachers and students will receive a one-time discount code to apply during checkout. For future purchases, they return to the same CLarboard.com discount page, for another code. ID Discount's technology, a part of the ID.me discount shopping experience, enables retailers to verify in real-time customer eligibility for exclusive gated discounts while preventing fraudulent attempts and abuse. ID Discount verifies the identity and group affiliation of customers against the industry’s most comprehensive and authoritative data sources. Their verification process simplifies the customer experience and increases access to discounts. C Larboard founder and retail consultant, Zoé Coulcher shared that, "Leading brands have seen the value in the ID Discount platform and C Larboard is proudly leading the way in our industry." Find more information on the educator and student discounts at CLarboard.com.